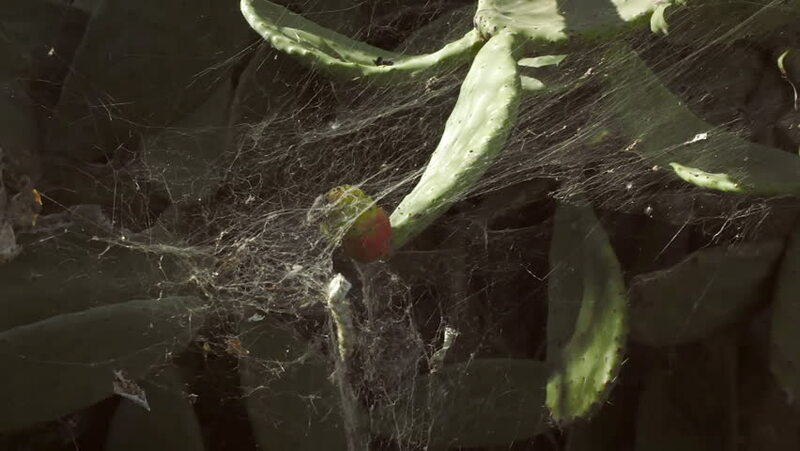 A prickly pear (opuntia ficus indica) fruit on the tree, almost covered by a spider web. hd00:22Small Bird Searching Food On A Trunk, Costa Rica. Graded and stabilized version.